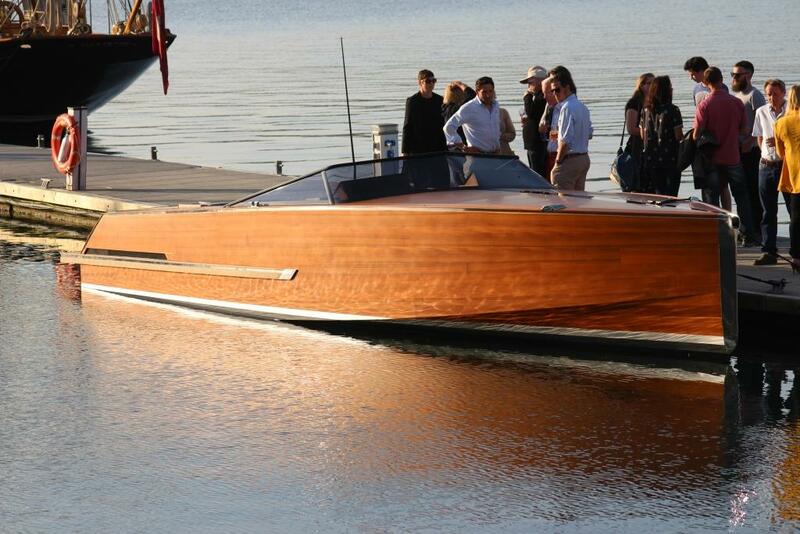 Classic boatbuilder Cockwells has unveiled its latest “ultra-luxurious” tender. Combining durable composites with the resilience of yellow cedar and the sleekness of teak, the ‘Titian Tender’ was launched at Falmouth’s Port Pendennis Marina on Friday, before a gathering of invited guests. Cockwells says the new tender is not just another “beautiful bespoke boat” but a “modern masterpiece of artisan craftsmanship and technical ingenuity”, featuring copper-infused caulking and silk panels imbued with original fine art for the interior. Founder and MD, Dave Cockwell, said: “From the stainless steel fittings that have been specifically cast, the virtual anchor and the hugely manoeuvrable twin-jet drive to the dynamic positioning and touchscreen EmpirBus control systems, the contemporary chic of the corian and copper galley, and the automated bimini cover, the Titian Tender makes a statement. The company also took the opportunity to launch enhanced client services and after-care packages from a newly-branded Lock House within the Port Pendennis Marina complex.